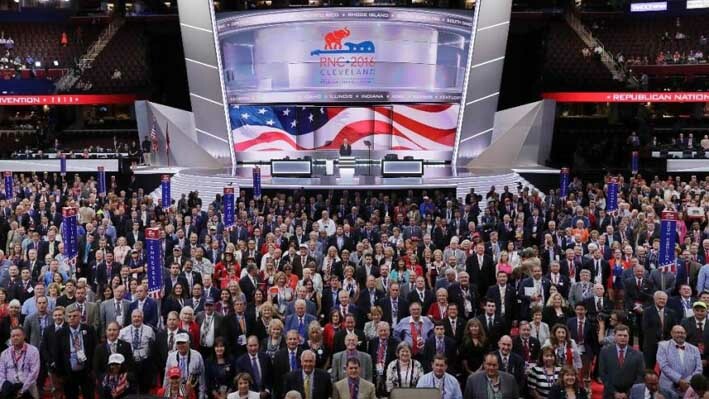 (TibetanReview.net, Jul22, 2016) – China has on Jul 20 condemned the US Republican Party’s 2016 platform adopted at the Republican National Convention on Jul 18 which, among other things, accused China of practicing cultural genocide in Tibet and making ludicrous claims in the South China Sea. China’s Foreign Ministry spokesperson Lu Kang accused the party of making “groundless accusations against China” and interference in China’s domestic affairs. The platform targets China’s domestic affairs and levels accusations at China’s policies in issues concerning the South China Sea, Tibet, Taiwan and trade, China’s official media Jul 21 cited Lu as saying. “To promote stable development of China-US ties is in line with the fundamental interests of both countries, and is conducive to peace and development of the Asia-Pacific region and even the whole world. It is the right direction that both countries should stick to,” chinadaily.com.cn Jul 21 quoted Lu as saying. US Republican Party’s 2016 platform, adopted on Jul 18, says China has been asserting “preposterous” claims to the South China Sea to distract its people from economic problems and practicing “cultural genocide” in Tibet and Xinjiang. It reaffirmed a commitment to sell weapons to self-ruled Taiwan, claimed by China as a renegade province.